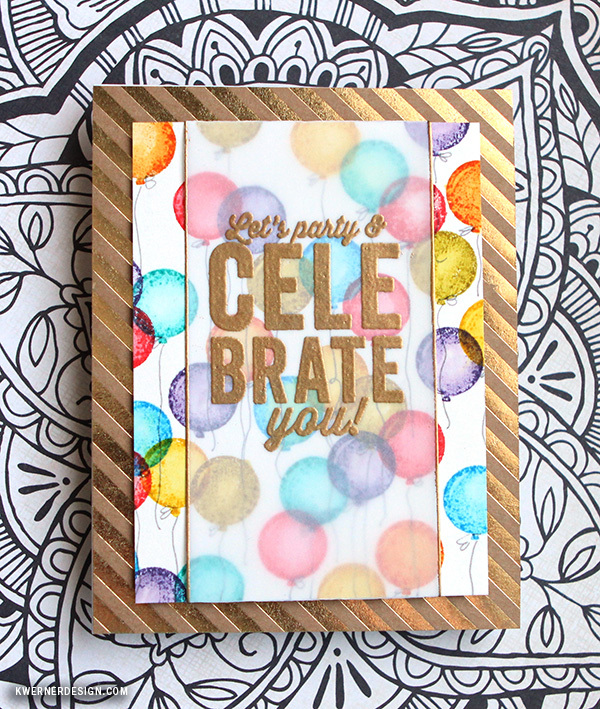 I created a fun card using the small balloon stamp in the Big Birthday Wishes stamp set from the kit. 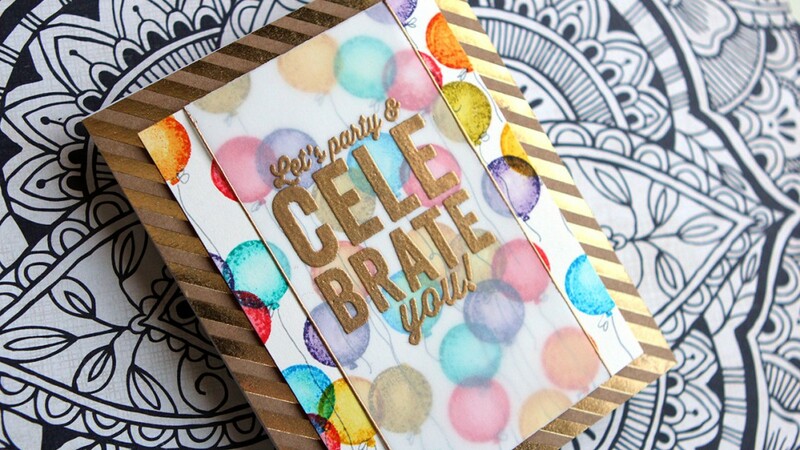 I stamped the balloons with Distress Ink and used a waterbrush to spread the ink color and make them transparent. Overlapping the balloons gives it a cool look, right? The main greeting area is a strip of vellum cardstock that I stamped on and gold embossed one of the greetings from the stamp set. Then it was all assembled onto the card on top of some of that gorgeous gold foil patterned paper. 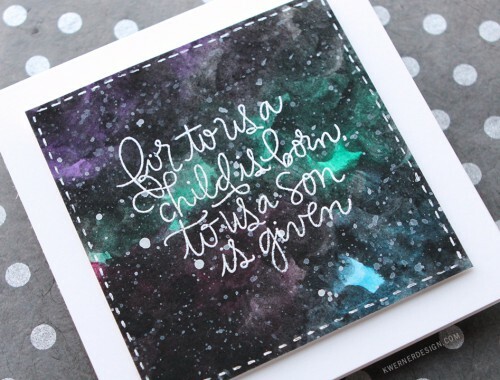 You can subscribe to receive card kits each month HERE, or pick up the April 2015 Card Kit by itself HERE. You can also buy the stamp set separately, too. I hope you enjoy today’s card video, too! I often get questions about where to purchase the supplies I use in videos. To make it easier for my blog friends all supplies are listed below! :) The letters below each image are links to stores where you can buy the product. SSS = Simon Says Stamp, AZ = Amazon, etc. Affiliate links used when possible. The card kit today was provided by Simon Says Stamp. Thanks, Simon! 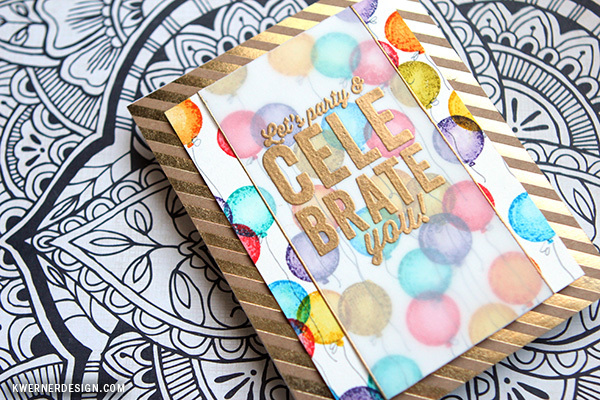 I have one April 2015 Card Kit to give away! Please leave a comment below for your chance to win. This giveaway is open world wide. Random winner will be chosen one week from today on Friday, April 17, 2015, and announced in a blog post that day. Good luck! Your next stop on the hop is the amazing Jennifer McGuire! You can also go back to the beginning of the hop, too.